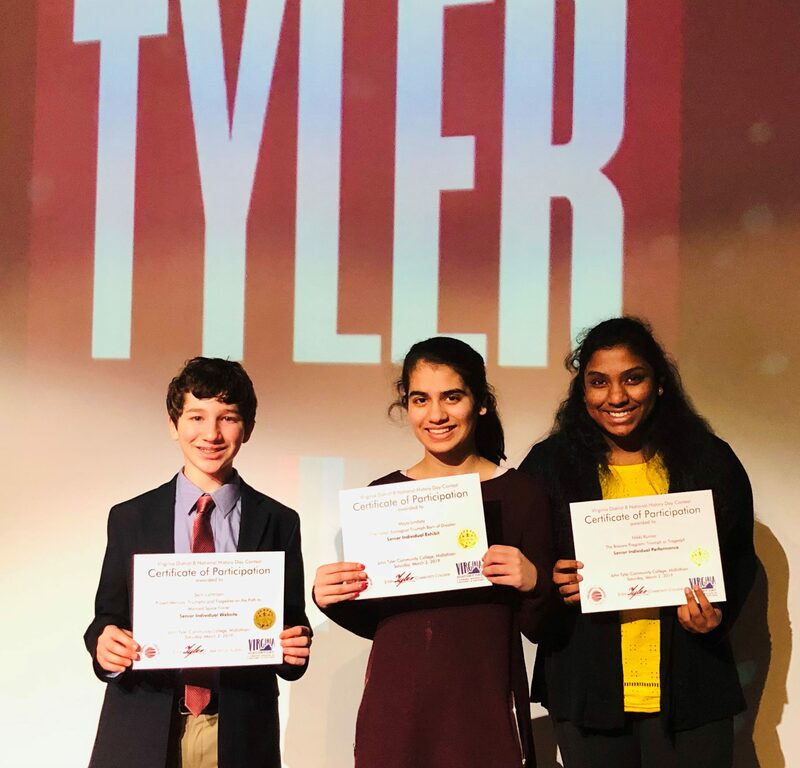 The Virginia History Day Competition held March 2, 2019, is a history competition for students grades six through twelve. To qualify for the state competition, students must place first or second in their category and age division at one of eight district-level competitions held throughout Virginia. The top two entries in each category and age division at the state level will compete at the National History Day finals. The theme of the National History Day 2019 is Triumph & Tragedy in History. Students are encouraged to examine their topic’s influence on history and draw conclusions about the ways in which their topic had an impact on the course of events and on individuals, communities, nations, or the world. Perisa Ashar: (‘21-Henrico) 2nd Place: History Paper: Role of British Utilization of “Divide and Rule” Tactic leading to Triumph of India’s Independence and Tragedy of India’s Partition. These students have advanced to the statewide History Day Competition, to be held at the Virginia Museum of History and Culture on April 27th.